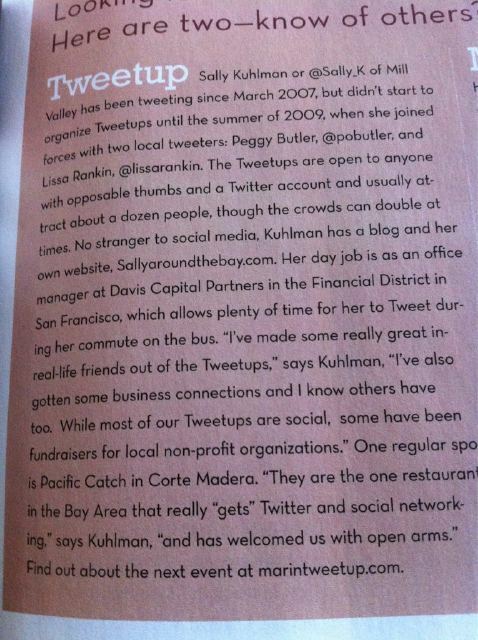 I’m famous! 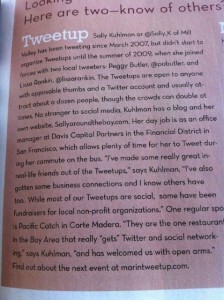 Well not exactly… but I was mentioned in the Marin Magazine this month! Marin Magazine is our local magazine highlighting all things happening north of the Golden Gate Bridge (in Marin County). Here’s a photo of the article courtesy of Peggy Butler. ← Blue Bottle Coffee is The Best!